CHECK OUT OUR NEW AUDI SECTION ON OUR WEBSITE!!!!! 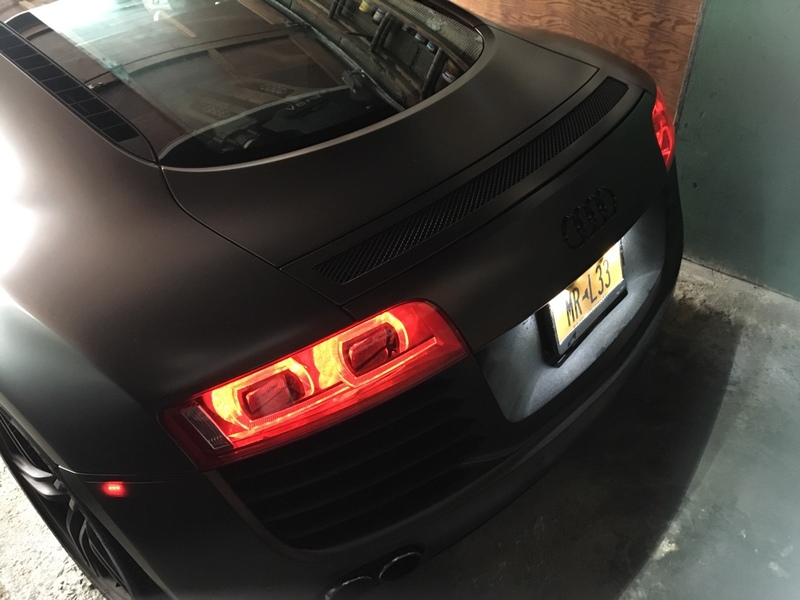 CLICK HERE for all Updated LEDs for your Audi Car - updated with new LEDs weekly! 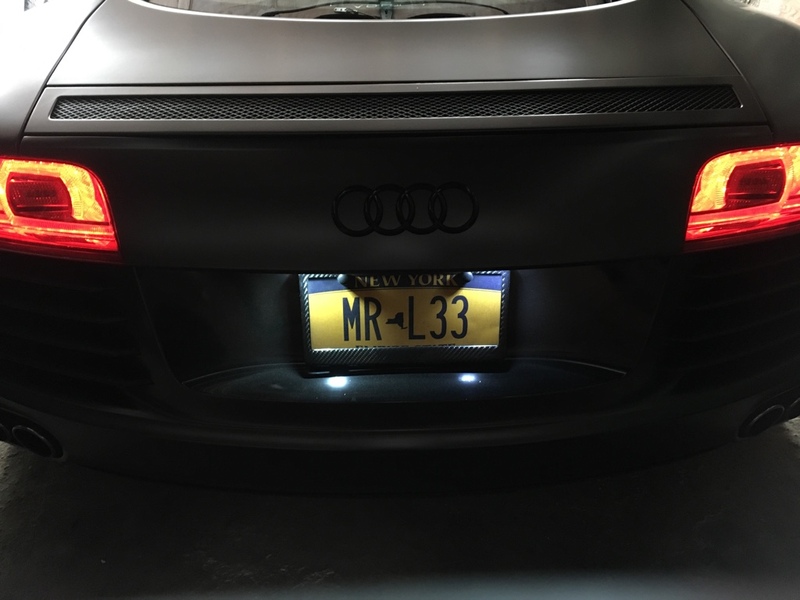 **PLEASE NOTE** IF you do not see your model listed, contact us and we will work on SPECIAL PRICING to make you a custom set, if you help us test and review a NEW Audi LED Kit it will be FREE!! 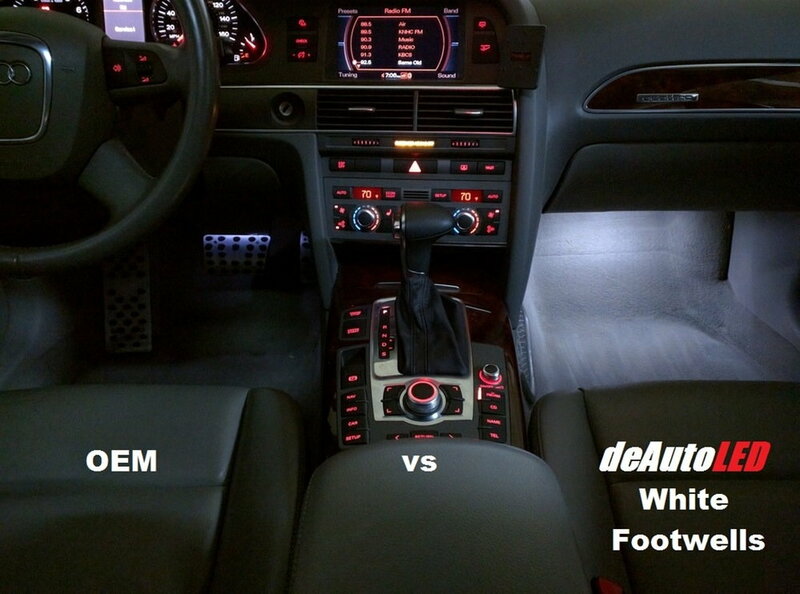 Footwell Option for Audi models equipped with OEM LED footwells! Choose from Crisp White / Red or Blue!! 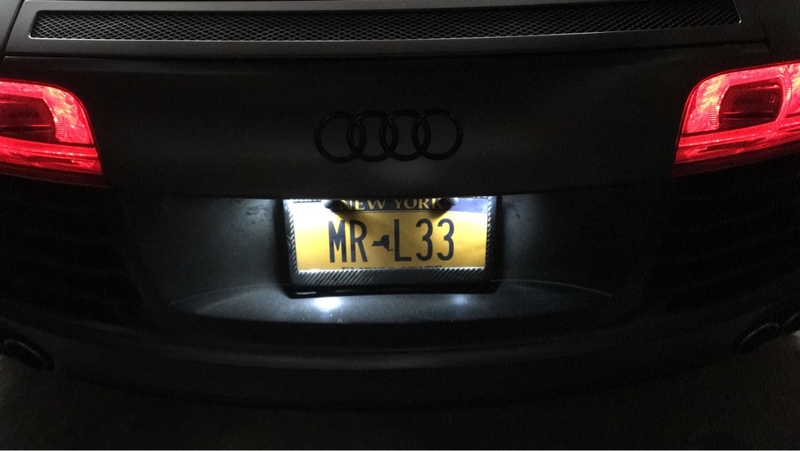 We did the research, and created the best and brightest LED for your trunk, our 48 LED Strip simply lines your trunk, with either 3m tape or velcro which are both included. 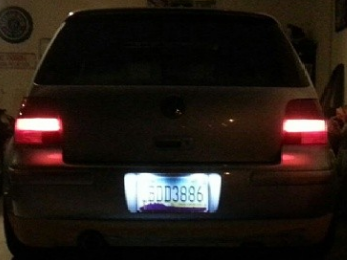 -Enough LEDs to light up your entire trunk but short enough to fit any trunk, can install vertically or horizontally. -Resistor which allows for the light to stay on and not dim if your dome lights shut off while trunk is open. This feature is a must have, it allows for a bright continuous light at all times. -Trunk LED will not stay dimly lit when your car is off. -Comes with 3 adapters: Wedge, Adjustable Festoon, and Bayonet, this will fit every trunk adapter on the market. Actual LED strip measures: 31 inches – this length will fit all trunks, can install vertically or horizontally. Black Wire measures: 52 inches – please note- excess wire simply tucks into your trunk’s housing/lining so you will not have any leftover in your trunk. 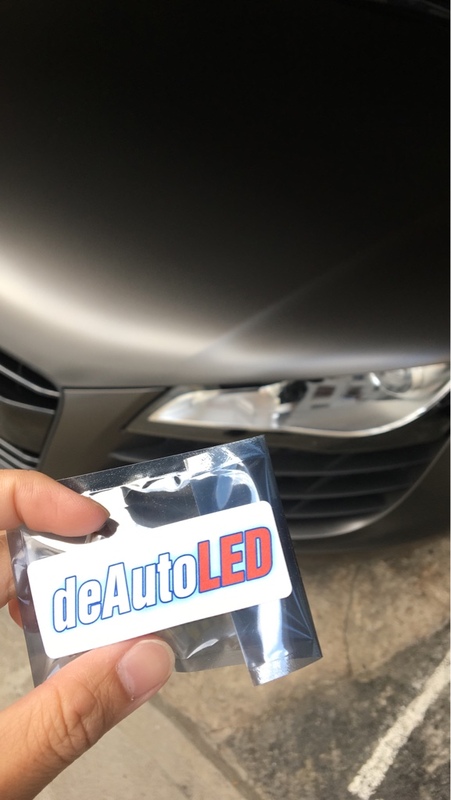 Check out www.deAutoLED.com to see all our LEDs available! -Our LEDs come with a Lifetime Warranty! 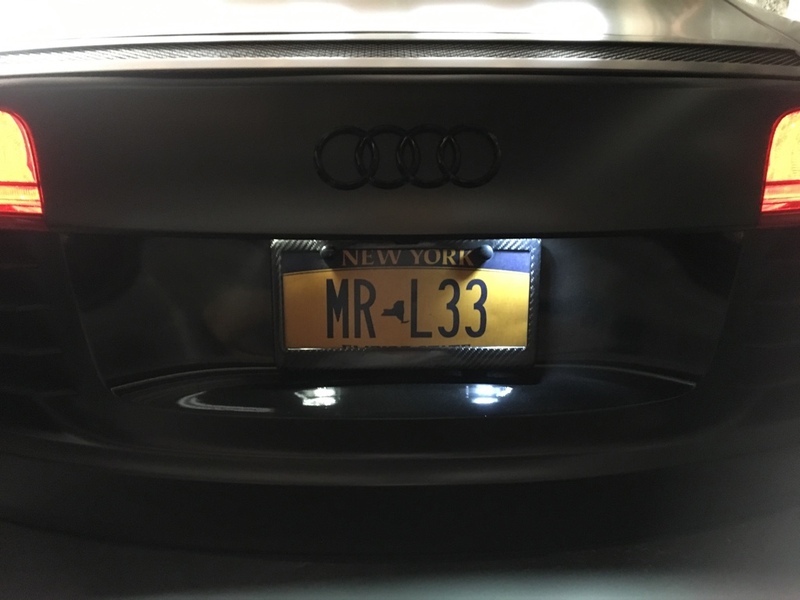 This is one of the few mods that will normally add to your car’s resale value! 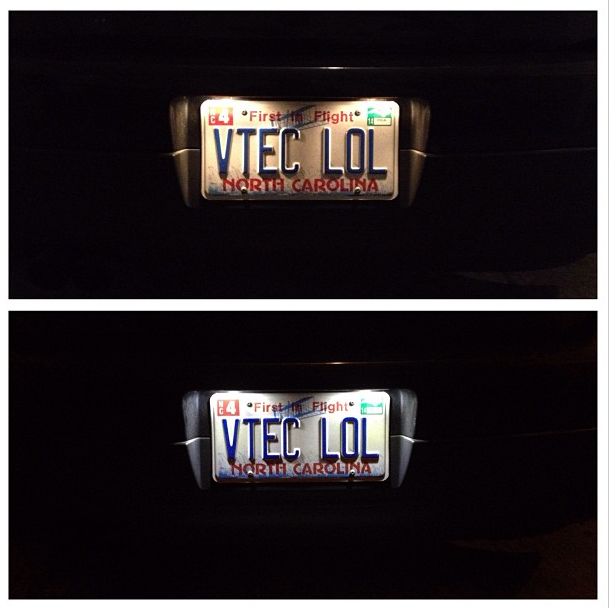 Our LEDs are a clean crisp white - place it next to your current License plate to see the difference! Turns out i had it flipped over. They r super bright and pure white. Love em. Hope it lasts. Thanks! 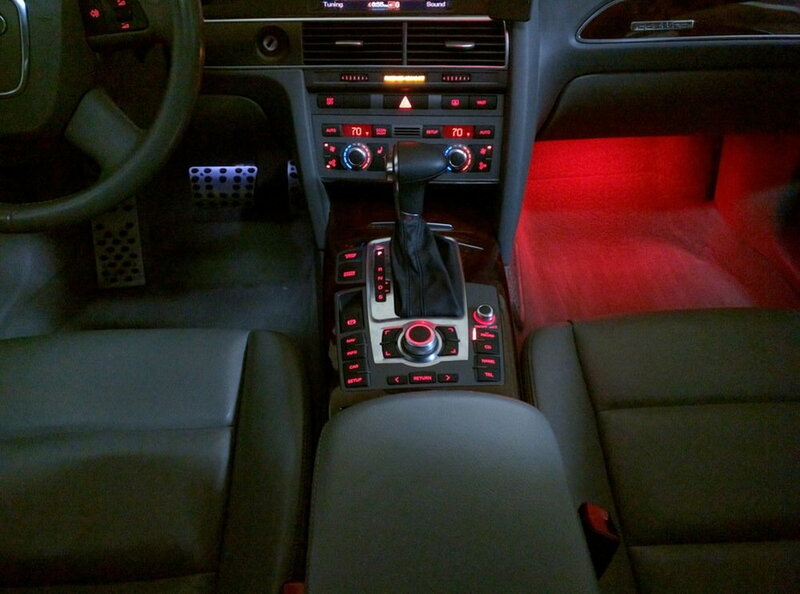 Don't miss out on upgrading your interior LED! 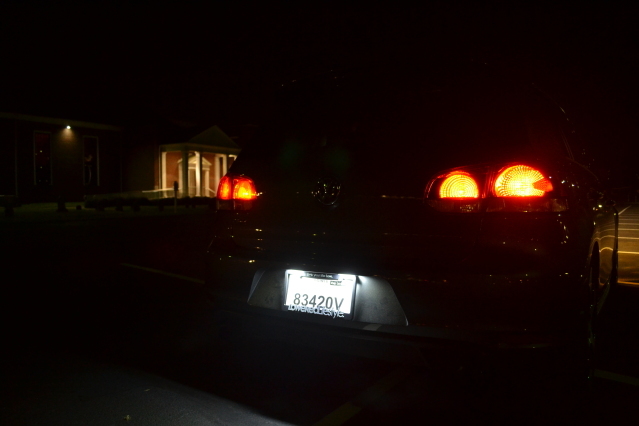 -our LEDs include bright puddle LEDs - Trunk - Dome and Warning LEDs (if your car has them installed)! 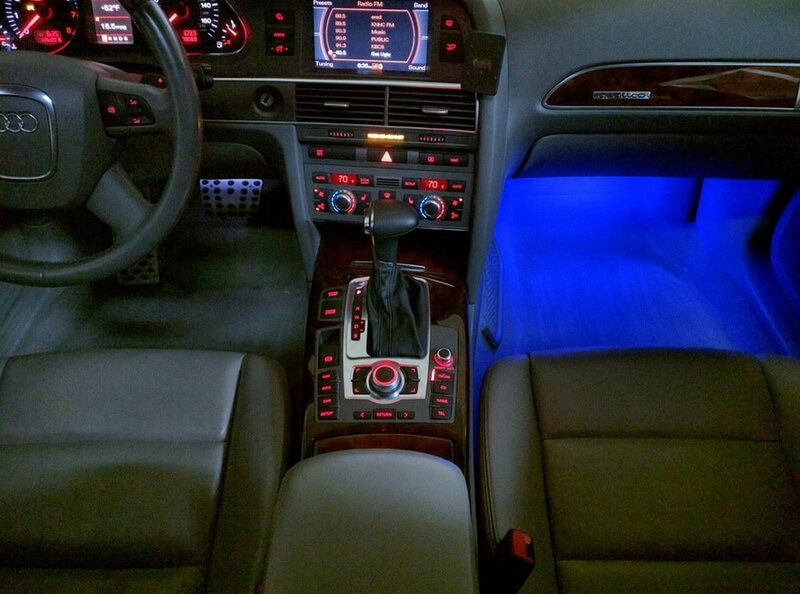 Everything you need to complete the LED look of your interior. We have a NEW line-up of BRIGHT BRIGHT BRIGHT Error Free Front turn Signals! I have this set and will vouch for the quality... 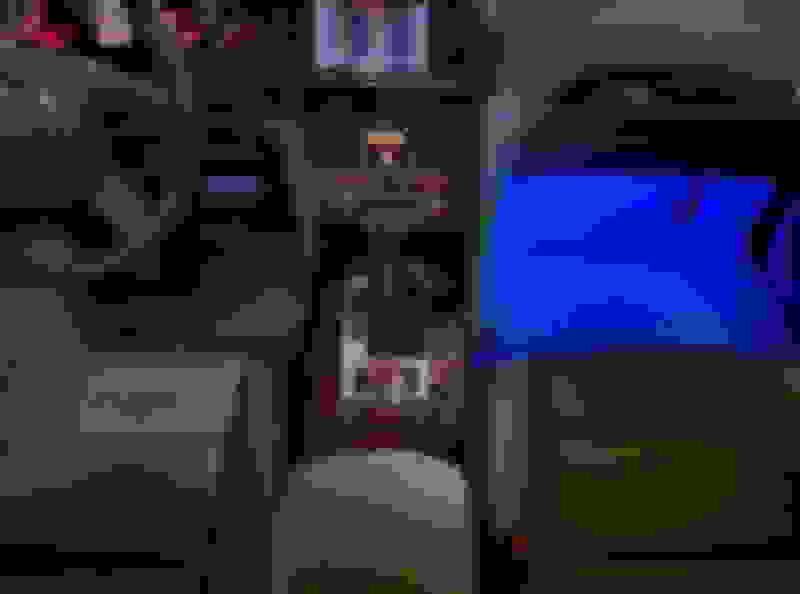 The only bulbs I never received were the map lights in the rear view mirror.